A federal judge in Winston-Salem ruled Monday night that North Carolina's sweeping election overhaul is constitutional. The U.S. Justice Department, the North Carolina NAACP and others sued over the 2013 law, calling it one of the most restrictive in the nation. WFAE's Michael Tomsic joined Marshall Terry to walk through the decision. Let's start with voter ID. What did the judge rule on that? Judge Thomas Schroeder said that even though there's very little evidence of voting fraud, the U.S. Supreme Court has ruled that trying to reduce it is fair game for a state. He points out that North Carolina allows a variety of excuses not to have an ID, and that a federal court upheld a virtually identical photo ID law in South Carolina. So the ID provision stands here as well. But North Carolina's overhaul went well beyond ID. What about the other changes? They all stand. The U.S. Justice Department had argued they were discriminatory. That's because African-Americans disproportionately used early voting, same-day registration and out-of-precinct voting, which were all reduced or eliminated in the overhaul. But Judge Schroeder noted that African-Americans fared better on registration and turnout rates in the 2014 midterm - after the law was implemented. In fact, he says the turnout disparity that election between African-Americans and whites was the smallest it's been in any midterm election since 2002. How did comparisons to other states factor into his ruling? That was one of the key arguments attorneys representing North Carolina made: the overhaul makes North Carolina more like other states, not less. The majority of states don't offer same-day registration or out-of-precinct voting. They do offer early voting, and North Carolina still does too, although it's a week shorter. And many states require some kind of ID. Judge Schroeder added all that up to say North Carolina, after the overhaul, is in "the mainstream of other states." Because of these lawsuits, there have been parts of the law in effect and parts on hold. What happens next? The parts on hold will stay on hold through the Congressional primary in June. That means people can still register and vote on the same day during early voting, and they can vote out-of-precinct on election day. Judge Schroeder noted there's a Supreme Court precedent for not wanting to change policies too close to an election. But what about the November general election? Those options will be gone. The overhaul will be fully in effect: 10 days of early voting instead of 17, and people will need photo ID. That's of course assuming there's not another decision. The plaintiffs haven't announced yet if they'll appeal, and if they do, it's possible there's another ruling could come by November. The above was updated at 6:45 a.m. Tuesday. A federal judge has upheld North Carolina's sweeping election overhaul. The U.S. Justice Department lost its argument that voter ID and other provisions are discriminatory. In 2013, North Carolina's Republican lawmakers cut early voting, eliminated same-day registration and created an ID requirement. The U.S. Justice Department and others sued. They said the changes disproportionately impact African-Americans in violation of the Voting Rights Act. Federal Judge Thomas Schroeder ruled late Monday night against those claims. In upholding all the challenged parts of the law, he noted it puts North Carolina's election rules in line with most other states. And on the impact to minorities, Judge Schroeder says their turnout in the 2014 midterm confirms they still enjoy equal opportunities to vote. 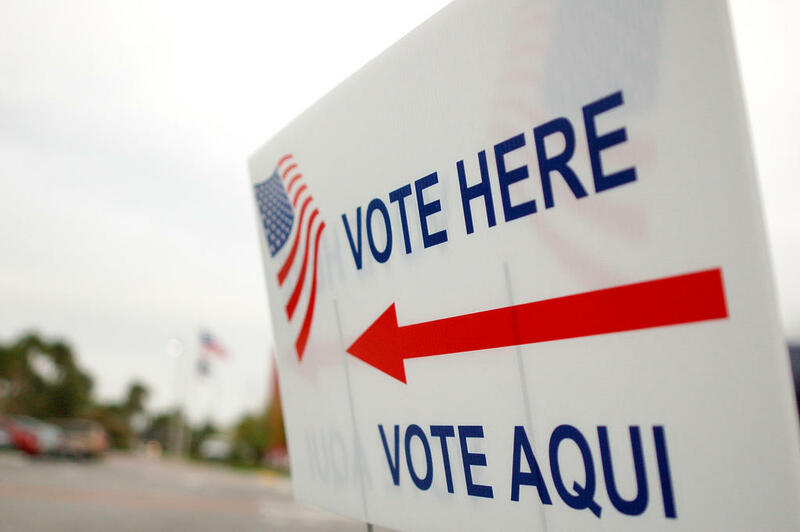 After hearing exhaustive arguments over the past year and a half, a federal judge in Winston-Salem is set to rule on North Carolina’s sweeping election overhaul. Two summers ago, the U.S. Justice Department and others suing North Carolina tried to convince judge Thomas Schroeder to put the changes on hold. This past summer, judge Schroeder presided over a three-week trial on whether some changes should be thrown out entirely. And over the past week or so, he heard the final phase of the lawsuits: the challenge to voter ID. North Carolina’s sweeping election overhaul is back in a federal court in Winston-Salem this week. A judge there heard arguments this summer over changes to early voting, same-day registration and out-of-precinct voting. Now, the focus is photo ID. WFAE’s Michael Tomsic has been covering the lawsuits and joined Marshall Terry to break down the latest. WFAE's Marshall Terry and Michael Tomsic discuss voting changes that resulted from the North Carolina legislative session that ended recently. Big changes are coming to North Carolina's election laws. That's what we're focusing on this morning as part of our week-long look at some of the major bills state lawmakers passed this session. Election experts say North Carolina passed some of the most sweeping voting changes in the country. It's a huge shift from our current election laws, from how many days you'll have to vote, to what you need to bring to cast a ballot to even how you can register. But let's start with when you can vote.